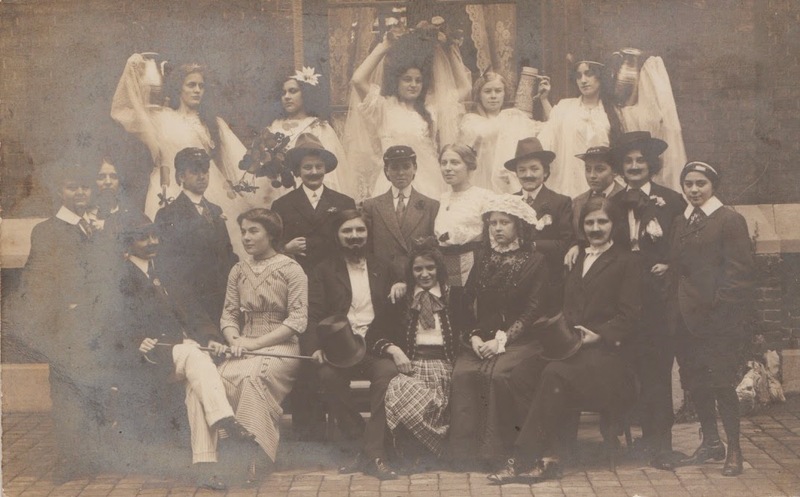 I am very fortunate to have in my possession two real photographs of groups of young people doing a bit of theatrical cross dressing! 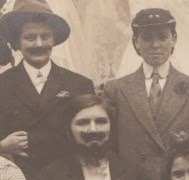 Apparently, if you were hip and beautiful at the turn of the century, you would dabble in a bit of fancy dress, followed by a wild run through your daddy's country house and a cocktail or five! 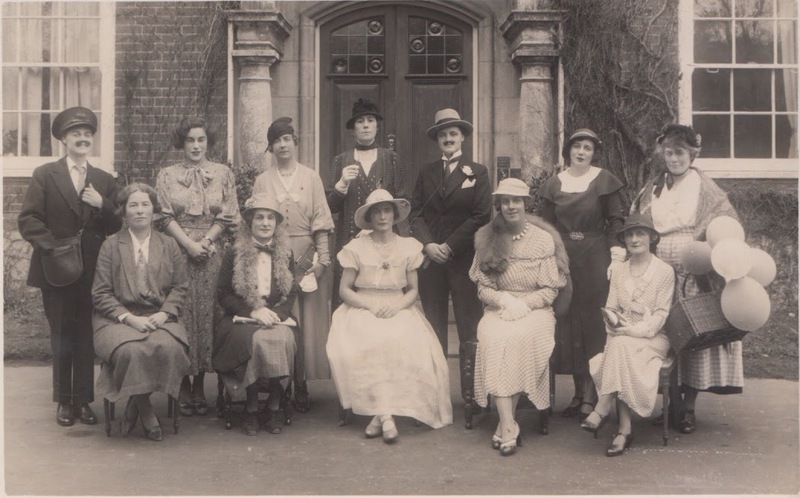 And here are the real Bright Young Things of the 1920s...hats off to the rebel toffs! A great example of false pretenses. There's nothing like a false mustache to bring out the ham in people. There was more of that went on than we realise. 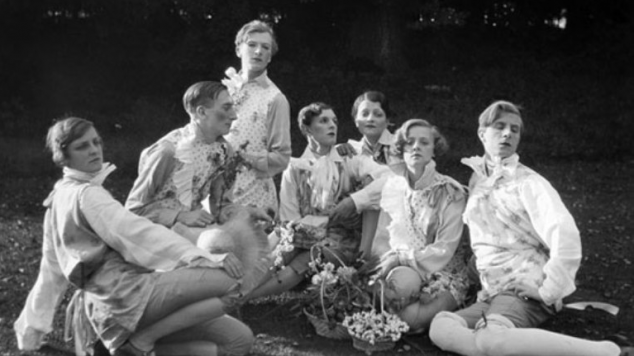 Shakespeare’s players had boys playing women too. The really like the first photo, especially the balloon lady (?) and the police man (?). Love the artistic posing in the last photo. I think I like the second photo best with the Grecian ladies standing in the back. Oh very good for false pretenses, and how lucky you are to have these photos!